I sat there, with a lump so large in my throat that I could barely swallow. Tears streaming down my face. I realized I was crying, but what the heck for? What is going on?!?! He sat behind me. He couldn’t see my face, he couldn’t feel my heart pounding and breaking. He had no clue. I walked forward to the alter and just wept tears from an unknown source. I ask God what is this? I don’t know what this is! I hurt, I feel abandoned, I feel rejected. WHAT IS THIS?! You see I was an adult at this time, I was back on the road that God has set before me. 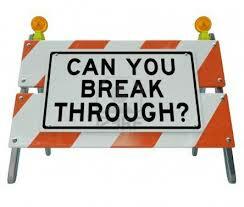 I was taking intentional steps to grow and move forward, then like a road block this showed up out of no where. After my moments of feeling with no known reason or source, I heard the Holy spirit say, “Go tell him you forgive him.” Tell who? Again, “Go tell him you forgive him”. I turned and looked straight at him, not knowing I even had anything to forgive. Forgive him for what? it was silent..then “Go tell him you forgive him”. Well, after 3x’s you’d think I’d get it! I didn’t understand it all but I did it. 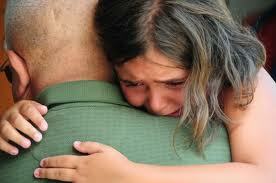 I walked over to my father who was sitting behind me, hugged his neck and said “I forgive you daddy”. I am sure it surprised him as much as it did me. Our relationship was good, as a matter of fact, better then it had been in years. He was merely visiting my church for a special moment, little did he or I know that this was the moment God had intended. At that moment, not fully knowing why I was doing what I was doing, or what all I was forgiving him for, I forgave. I willingly forgave him for all the things he did not do that I needed him to do as a daddy, all the hurts that I blamed him for as a child, and absence of love and attention I felt he never gave me due to his busyness. He did not ask for forgiveness. He did not apologize. I do not think he even realized he had hurt me, because I hadn’t even realized it. The hurt and pain I felt was real, and the circumstances around them was merely my perception and how I processed those things in my young life. Those perceptions, however, molded me into what I had become as an adult. Whether my perception was balanced and fully correct or not it was still a valid hurt for me, and for that I needed to forgive. Not for him but for me. He did not say anything, just merely held me in his arms. I do not know if tears streamed for him or not or if he even knew what was happening in that moment. That’s because God knew it was not for him, it was for me. My dad not need my forgiveness, God knew I needed it. 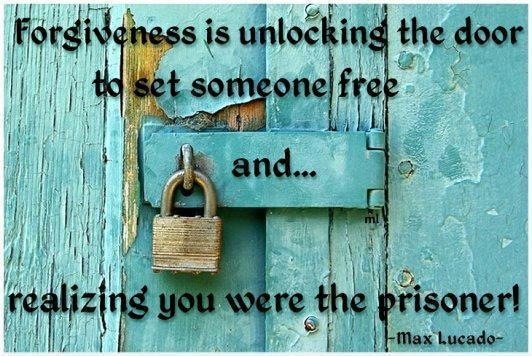 Forgiveness was the freedom that was waiting to be released in me. Forgiveness is vital, detrimental, and necessary to a healthy life. If you want to grow, become whole, and live a free balanced life, you must learn to apologize quickly and forgive easily. 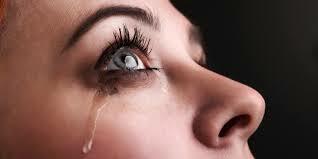 To hold on to hurt is to hold onto a poisoned dagger that has been placed in your heart. To choose not to apologize is like shooting a poisoned dart into someone and then choosing not to remove it. WOW! This so touched my spirit. I never got took the opportunity to tell my Daddy or my Mother I forgave them… like you, not for them, but for me. I told them I loved them, many times… and now it’s too late to say I forgive you. But the forgiveness is there… and the healing for me that I thought was done, has begun. As I am drinking my cup of hot tea and having tears running down my face in the library at school, reading this and know that I have had to do this for myself. You knowing everything that has happened with my dad and knowing that I had to forgive him for everything that has happened. Reading this today makes it okay that I forgave him for everything that has happened. Thank you for sharing this Aunt Dorothy!